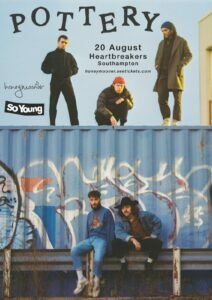 We Are So Young is a brand new series of nights for 2019 and beyond. 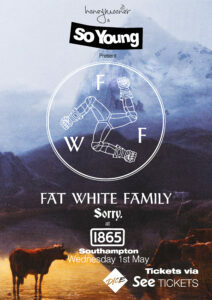 Each show will be carefully curated and features some of our favourite new bands. We Are So Young 3 invites Family Time, Blue Bendy and Mystic Peach. 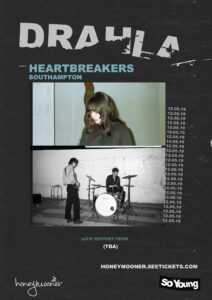 Honeymooner & So Young Magazine present Leeds dark post-punk trio Drahla. Debut album ‘Useless Coordinates’ out on 3rd May via Captured Tracks.